The brainchild of a mother and son duo, the small store started off in a garage selling only graphic tees. It has now been revamped and has so much more to offer! 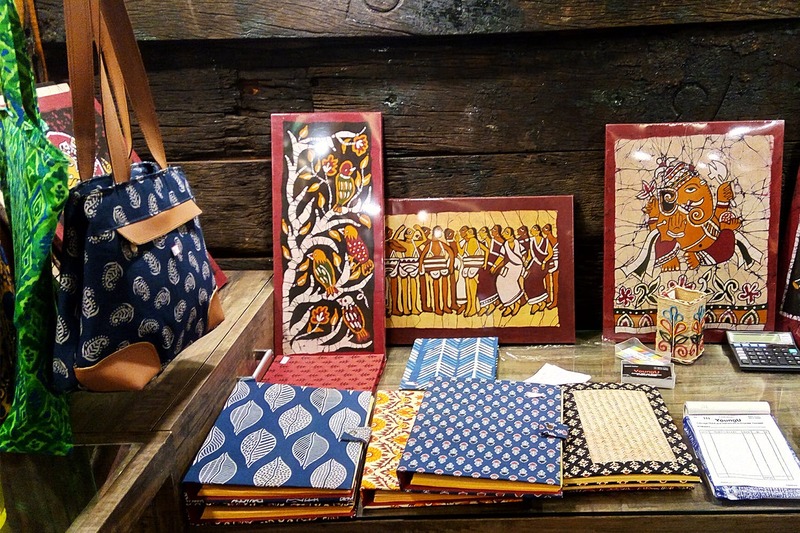 They have added to their collection, sarees (INR 1,200 and above) , wrap around skirts (INR 600 and above), handprinted diaries (INR 300 and above), notebooks and files. Not just that, they also have bags, pouches and funky coloured necklaces. The prints on all these products is sure to bring out the Bangali in you. Much like their t-shirts, their sarees and skirts will leave you feeling easy breezy! Their new collection shifts the focus from printed tees, to handpainted tees and tailormade tops. So, we suggest, beat the heat, summon the young in you and go check this store out!